Add instant ultra unique modern style and function to your outdoor oasis. 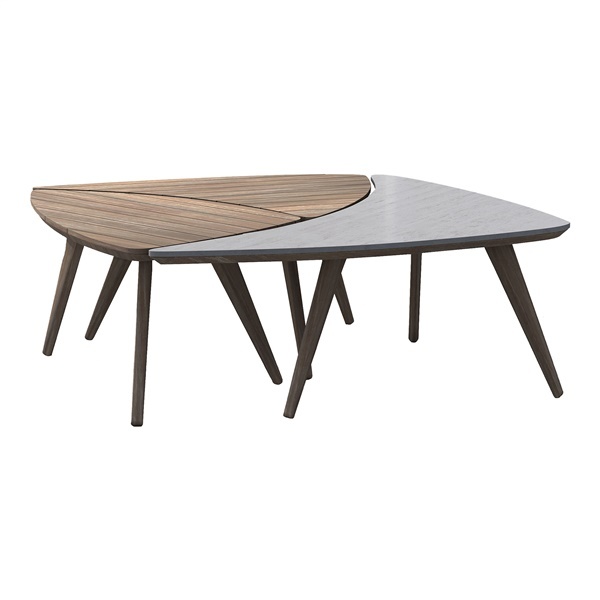 The Triplica Bunching Tables by Modloft are crafted of solid eucalyptus which is weather resistant for long lasting use. Use them together as one cocktail table or separte them for when you have guests for added convenience. The largest table top boasts super stone concrete while the two smaller tables feature slatted euclayptus wood tops.